New Delhi : Hrithik Roshan has played different avatars till now in the Bollywood movies. He has been seen romancing with Amisha Patel in his first movie ‘Kaho Na Pyaar Hai’ in ‘Dhoom 2’ he has played as thief, as a popular super hero Krrish also in its sequel, as an emperor in ‘Jodha Akbar’. Now it seems that he does not want to repeat the same act on big screen and looking for something different role. This might be the reason of his tweet on 6th of July. Hrithik Roshan asked his fans for some variant character to play in the next movie. He Tweeted, "What kind of characters do u think I should do? Inspire me. Give me ideas. Looking for something." Looking above the tweet the popular heroine of the decade Shabana Azmi replied something interesting. She tweeted, "@iHrithik you should play Ranjha in a remake of Chetan Anands Heer Ranjha where the entire dialogue is in verse!" Seeing the comments from fans, let us wait what does Hrithik Roshan picked for the next movie. Lastly he was seen with Katrina Kaif in Bang Bang’. 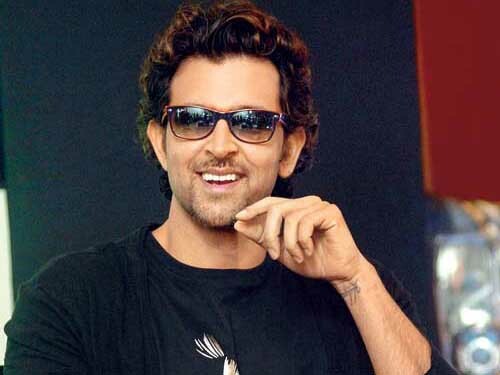 Hrithik Roshan is busy in shooting for Ashutosh Gowariker’s next directional venture ‘Mohenjo Daro’ nowadays. Pooja Hegde who is making her debut in Bollywood will be the leading lady opposite Hrithik Roshan.